Job applicants, especially in certain industries, have become accustomed to potential employers running background checks. 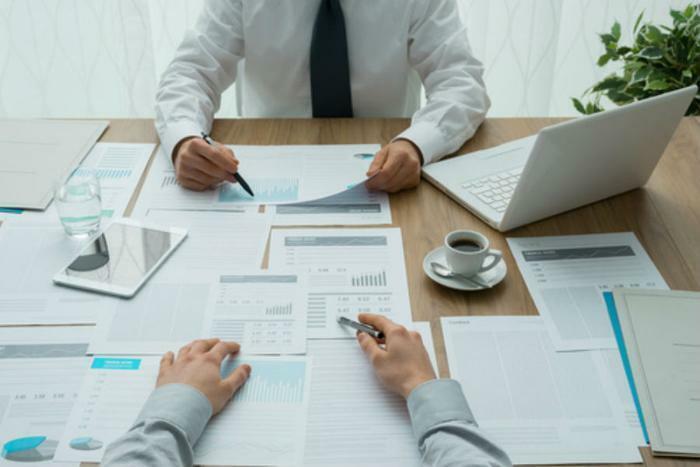 But some job-seekers might be surprised to learn that their potential employers could be looking into their financial history and current credit standing as well. A survey by the National Financial Educators Council (NFEC), which sampled opinion among small to medium-sized business owners and managers, found a little more than 25% had conducted a credit or financial background check on a job prospect. The reasons are not exactly clear, but the report authors suggest that employers are not just looking for knowledge, skills, education, experience, and cultural fit when they bring a new person on board. They are also interested in how the potential employee manages money. The takeaway is the increased importance of having a good credit score, which is indicative of good personal financial management. You don't have to have a lot of money, you just have to show that you can wisely manage what you have. Vince Shorb, CEO of the NFEC, says if you are experiencing difficult times financially, it could make it harder to get a good job. Improving your financial standing is as important as burnishing your job credentials. "With a quarter of employers checking financial backgrounds, we need to do better across the board so our nation's citizens can secure income sources, Shorb said. "Elementary, high school, and collegiate school systems have goals that include the career success of students – yet the majority of schools fail those students by not teaching financial education courses." The impact appears to fall heaviest on the youngest job applicants. The NFEC survey shows that about 5% of job applicants age 18 to 24 believe they lost a job or promotion because of a check into their financial background. Another 19% said they aren't sure. NFEC works with businesses and organizations to develop educational programs to promote financial literacy. Other organizations that can provide financial literacy education are non-profit credit counselors and many credit unions.